G’day it’s Victoria here… Emma and I had the most amazing trip to Montauk this time last year and with summer just around the corner for our northern hemisphere friends I've written a short memoir in honour of our seaside adventures. After a quick photo shoot in Palm Springs, Em and I sped to the airport with wet hair and our swimmers still on from our post shoot dip at the Ace Swim Club. We caught the red eye east to NYC and jumped on the jitney up north to The Hamptons the following morning. I've travelled to some beautiful places, however nothing has ever felt quite like home as much as Montauk did - I think it was the sense of community and relaxed coastal vibes. Being surrounded by others who love the sea like we do felt a lot like home. Upon arrival at Crow's Nest we jumped on some stand up paddle boards and ventured around the bay. There was this sense of calm in the air, it was as if the nearby long grass was softly whispering "everything is going to be ok, you're here now". A balmy dinner with friends that night at the Crow's Nest set the tone for the rest of the weekend. We ate lobster rolls and drank rosé, partied with friends, shopped a little and relaxed a lot. When we felt like a little bit of fun The Surf Lodge came through with the goods. When we felt like relaxing watching the sun set from the Montauket took our breath away. It's the kind of place where you pull into the parking lot of the local beach and say hey to someone you met at the bar the night before. Friends. Kindred souls who appreciate a warm smile and the ocean breeze. 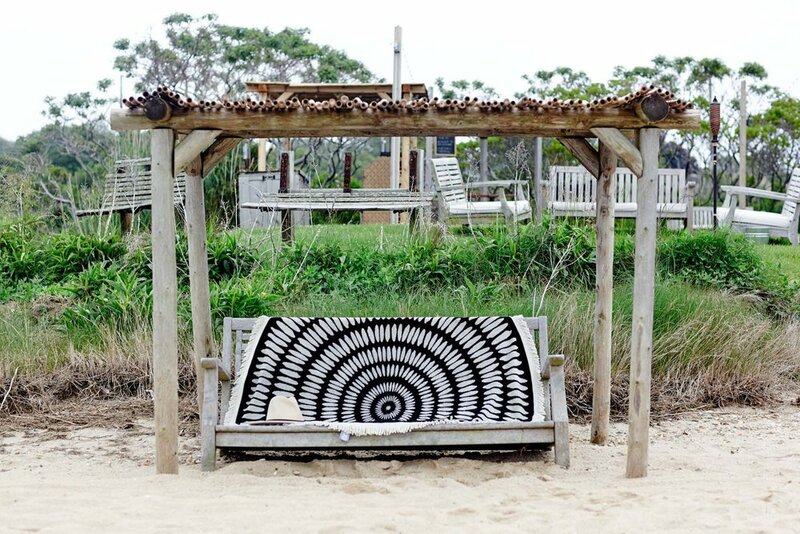 Oh Montauk, we'll be seeing you soon dear friend.